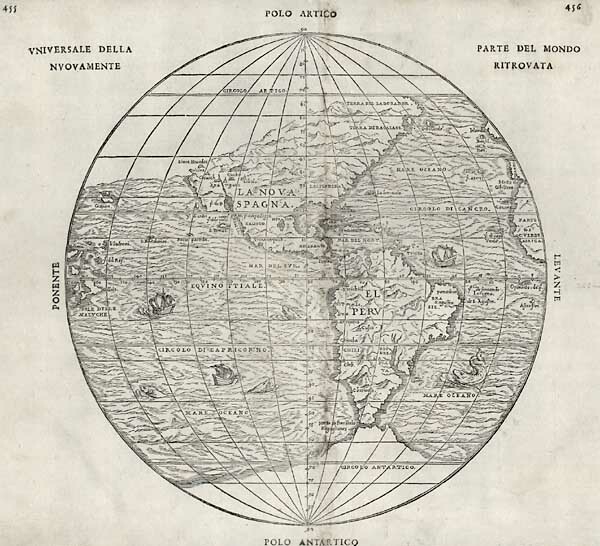 A 1565 map of the New World by Giovanni Ramusio and Giacomo Gastaldi. Source: Wikimedia Commons. Indigenous people, of course, have long had their own creation stories to explain their origins since time immemorial. The origins of the first inhabitants of the Americas, however, have been the subject of speculation by Europeans and settlers for centuries. The first written hypothesis comes from José de Acosta, a Spanish Jesuit missionary. In 1590, he published Historia natural y moral de las Indias in which he speculates about the origins of the first people of the Americas. Acosta sought an explanation for the presence of people in the New World, something that surprised and disturbed Christian Europeans. Scientific research has reached a general consensus concerning the origins of humanity in the Americas around a theory of a land crossing many thousands of years ago between Asia and North America across a span of land exposed prior to the last major ice age. This is known as the Bering Land Bridge theory. It has since become a point of controversy in contemporary politics of settler-Indigenous relations in Canada.